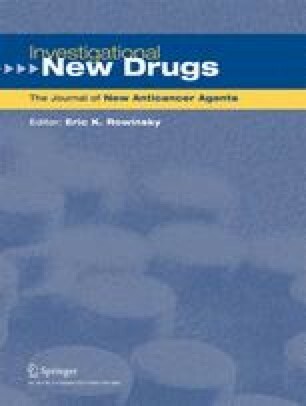 The microtubule-targeting agents derived from natural products, such as vinca-alkaloids and taxanes are an important family of efficient anti-cancer drugs with therapeutic benefits in both haematological and solid tumors. These drugs interfere with the assembly of microtubules of α/β tubulin heterodimers without altering their expression level. The aim of the present study was to investigate the effect of thymoquinone (TQ), a natural product present in black cumin seed oil known to exhibit putative anti-cancer activities, on α/β tubulin expression in human astrocytoma cells (cell line U87, solid tumor model) and in Jurkat cells (T lymphoblastic leukaemia cells). TQ induced a concentration- and time-dependent degradation of α/β tubulin in both cancer cell types. This degradation was associated with the up-regulation of the tumor suppressor p73 with subsequent induction of apoptosis. Interestingly, TQ had no effect on α/β tubulin protein expression in normal human fibroblast cells, which were used as a non-cancerous cell model. These data indicate that TQ exerts a selective effect towards α/β tubulin in cancer cells. In conclusion, the present findings indicate that TQ is a novel anti-microtubule drug which targets the level of α/β tubulin proteins in cancer cells. Furthermore, they highlight the interest of developing anti-cancer therapies that target directly tubulin rather than microtubules dynamics. The online version of this article (doi: 10.1007/s10637-011-9734-1) contains supplementary material, which is available to authorized users. Abdulkhaleg Ibrahim is supported by a fellowship from the Libyan Higher Education Ministry and Tanveer Sharif from the Association pour la Recherche sur le Cancer (ARC), France. We thank Dr Dominique Wachsmann and Dr Ghada Alsaleh, University of Strasbourg, France for kindly gift for providing us normal human fibroblast cells.